All of the Recreational Debut staff have been through the recruiting process and know how to get results. Dennis grew up in Cincinnati, Ohio before attending Gulf Coast Jr. College in Panama City, Florida where he was a first team All American. From there he attended Drake University where he graduated and was first team All Missouri Valley. 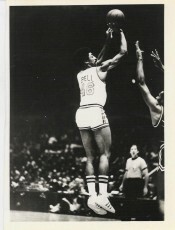 Dennis then was drafted by the NY Knicks in 1973 and was part of the Knicks organization from 1974-1976. From there he played in Europe and finished his career in the Eastern League now the CBA. Dennis went on to get his MBA from Grand Valley State University after starting Recreational Debut in 1984. 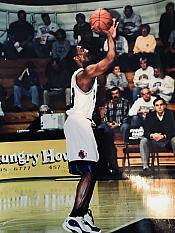 Greg Kelser was an All American and Academic All American at Michigan State University. He teamed up with Earvin "Magic" Johnson to win the NCAA Basketball Championship against Larry Bird and Indiana State University. Greg went on to play 6 years in the NBA with the Detroit Pistons and Seattle Supersonics. He is now a top broadcaster with the Detroit Pistons, ESPN, Big Ten Network and MHSAA. He is in the Michigan State Hall of Fame and his jersey #32 is hanging high in Breslin Field House. 1976-77 at Oklahoma Christian 30-3 number 1 in the nation 12 wks ended the season ranked 3rd. 1977-78 at Oklahoma Christian 28-4 and ended the season 7th in the nation. At University Colorado at Colorado Springs in 1998 had the 7th best turnaround in college basketball from 2 wins to 12 wins. Worked as a clinician at the YES clinics (Youth Education in Sports at 5 NCAA Final Four tournaments alongside Bill Self (Kansas), Bob Knight (Indiana), John Thompson (Georgetown), Charlie Coles (Miami, Ohio), Bob Huggins (Cincinnati), Louis Orr (Seton Hall), Reggie Minton (USAir Force Academy), and the late Skip Prosser (Xavier). Assistant coach on the U.S. Virgin Islands Sr. National Team 2005-2008. Head Coach Tevester Anderson (Jackson State). Helped the team Qualify for the Pam Am Games in Rio de Janeiro, Brazil 2006. Won the silver medal in Panama City, Panama and Qualified for the Tournament of Americas game in Las Vegas. This was the qualifying tournament for the Olympics in Beijing, China 2008. My overall college record is 78-107, 22 wins shy of 100. Director of Basketball Operation Recreational Debut a non-profit organization with Dennis Bell (NY Knicks) and Greg Kelser (Detriot Pistons).